Kelvin Gastelum called out Anderson Silva for the UFC’s next Brazil pay-per-view card. Now, he’s got him. Silva will face Gastelum at UFC 212 on June 3 in Rio de Janeiro, the UFC announced Tuesday. The news was first reported by Combate’s Ana Hissa earlier Tuesday. 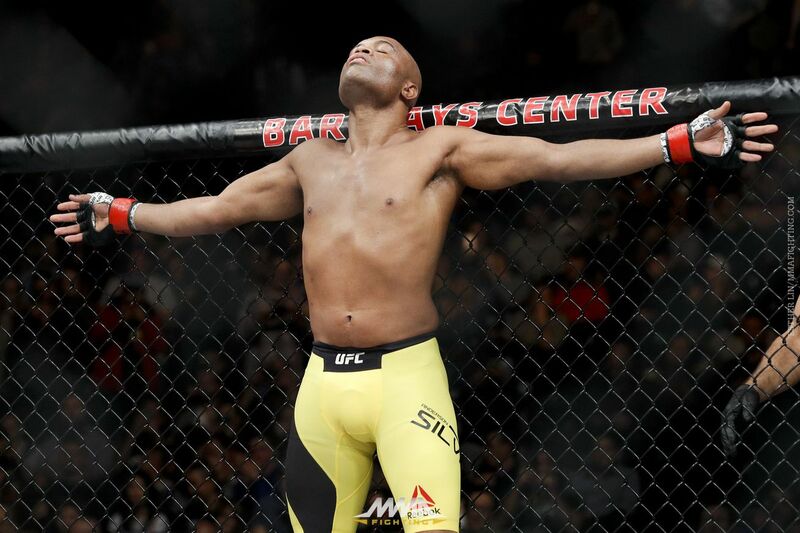 Silva (34-8, 1 NC), the former middleweight champion regarded as the greatest UFC titleholder of all time, is coming off a unanimous, but controversial decision win over Derek Brunson at UFC 208 last month in Brooklyn. “The Spider” had not officially won a bout before that since 2012. Silva, now 41 years old, owns the UFC records for most consecutive wins (16) and most consecutive title defenses (10). Gastelum (14-2) called out Silva following his first-round TKO win over Vitor Belfort on Saturday night in Fortaleza, Brazil. The Ultimate Fighter 17 winner has won three straight, including the last two via finish at middleweight after having issues cutting to welterweight. Gastelum, 25, has an impressive 9-2 record in the UFC and is a top young talent. UFC 212 is headlined by a featherweight title fight between champion Jose Aldo and interim champ Max Holloway. No co-main event has been made official yet. Also on the card, former top strawweight contenders Karolina Kowalkiewicz and Claudia Gadelha will square off.